In case you weren’t aware, Grenache Day was on the 18th as it’s the third Friday of every September. It’s a way to promote the profile of the Grenache grape by the Grenache Association as there are still a number of very critical people in the wine world who don’t think fine wine can be made from the grape. They obviously haven’t tasted enough of the wines or should just stick to their Alsatian Riselings and Pinot Noirs whilst keeping their traps shut. We happen to be very big fans of the grape. Admittedly, this day sort of passed by and was celebrated throughout the weekend and not just the 18th as the Grenache Belt from the bottom of Catalonia to Left Bank of the Rhône is sorta well, not always on the ball with things. We happen to be with them and so we present a few of the quite great Grenache wines we’ve had in the last year. Teixar in DO Montsant has always been a winner and this past year wasn’t so much about saying, “Another awesome bottle Vinyes Domènech!” but more about the fact that it received Vi de Finca status which you can understand a bit more about, here. DOQ Priorat saw the release of two outstanding rosé wines both from Grenache. This is quite noteworthy as rosé from this region has always been pretty chewy and not all that fresh but these form a very new and excellent direction. In DO Terra Alta, a White Grenache popped up from La Fou that was of great character as well as price. If you haven’t tasted the Pur from Domaine la Barroche in Châteauneuf du Pape then you’ve missed out on something special. Julien is one of the younger makers in the famed French AOP and he’s producing some great vintages these days with a heavy focus on Grenache or, in the case of the Pur, 100% Grenache. The gang behind 10 Sentits did something quite outlandish in that they took Grenache grapes from all 10 of the Catalan DOs and made one Grenache wine from them under DO Catalunya. Usually something like this turns out very murky due to how much it’s blended but they managed to carry forth a ton of character in this, the ultimate Catalan Grenache wine. Lastly Chêne Bleu. After visiting last Fall, they’ve been getting a lot of attention lately. And while nothing they do is 100% Grenache (French love to blend), it forms a huge core to their wines that are under the AOP Ventoux. In addition to that, the winery is just flat-out gorgeous. And that’s a small selection of Grenache from the last year. 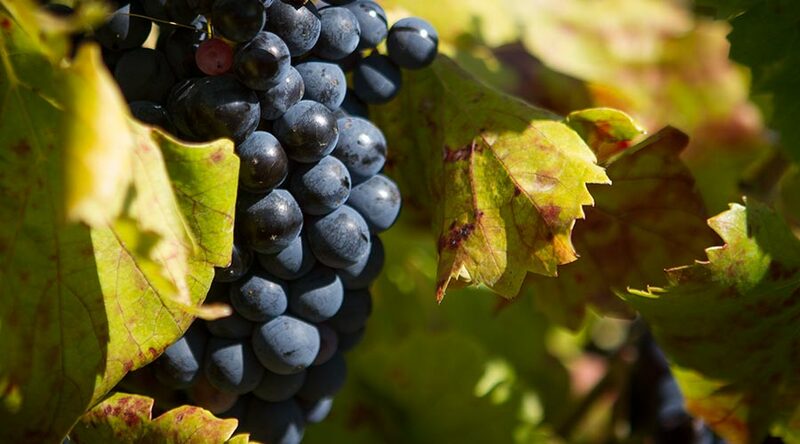 Do yourself a favor and celebrate Grenache Day every day, all year long!